VSAFF films cleaned up at the South African Film and Television Awards last week. The Afrikaans-language thriller Sink, which closes this year’s VSAFF (Sunday, April 2 at 7 pm), took home five honours, including Best Feature, Best Actress and Best Scriptwriting Feature. 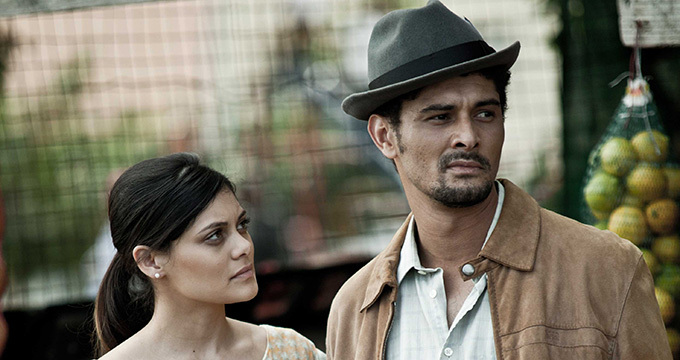 Another Afrikaans film, Noem my Skollie (Saturday, April 1, 7:30 pm) also claimed five awards, including Best Actor and Best Supporting Actor. It was also recognized for design, costume and make up work. Nobody’s Died Laughing (Sunday, April 2, 1:30 pm), which explores the life of Pieter-Dirk Uys, one of South Africa’s most important writers, satirists and activists, won three awards, including Best Documentary Full Length. The Suit, (Saturday, April 1, 11:30 am), the first film adaptation of the classic and iconic South African short story, won for Best Short Feature. Congratulations to all the winners and nominees. We can’t wait to share all these outstanding films with you at SFU Woodward’s, March 31-April 2!